The Southampton Fire Department will be holding its 35th annual Antique Truck & Muster this September 10, 2016. The event will be at Agawam Park on Pond Lane in downtown Southampton Village. 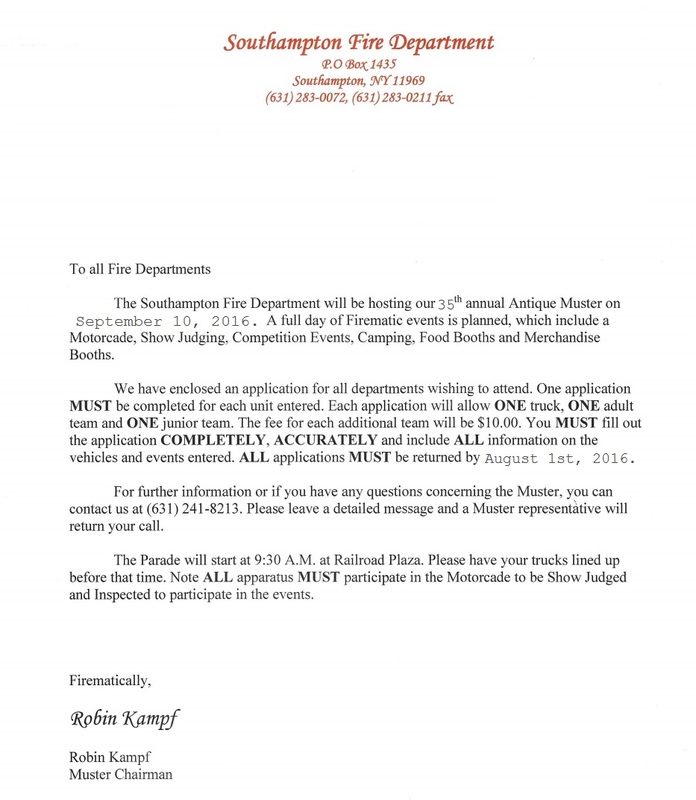 Fire departments submitting teams for competitions as well as trucks for the parade can press below for more information. ​This event consists of Inter-Department competitions, an antique truck parade / showcase, and great food. Fun for the whole family. Save the date!